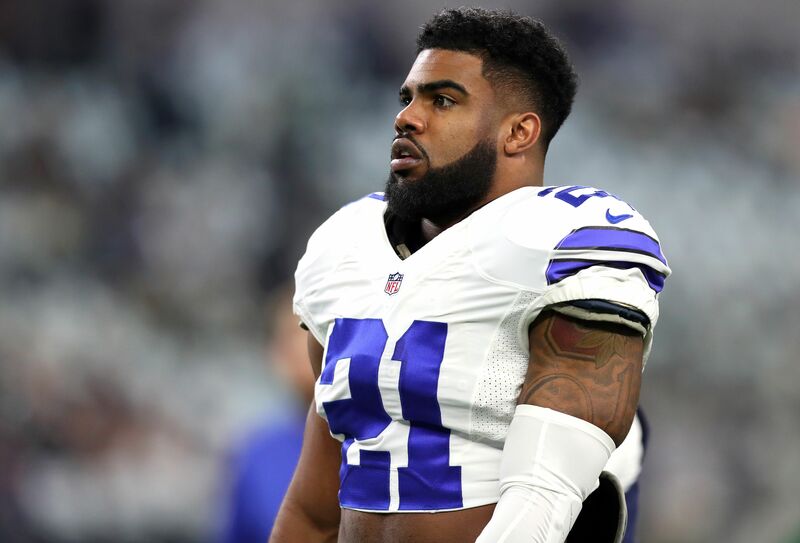 Dallas Cowboys running back Ezekiel Elliott was reportedly involved in an altercation at a Dallas bar on Sunday. He was not arrested for the incident. On the field, Dallas Cowboys running back Ezekiel Elliott is as gifted as they come. As a rookie, he rushed for 1,631 yards on 322 carries for 15 touchdowns. His Cowboys went 13-3 and should be a contender in 2017. However, Elliott’s young NFL career has been marred by trouble off the gridiron. Elliott is already facing a potential one- or two-game suspension for a previous domestic violence incident. With this latest incident in Dallas, could the Cowboys be without their running back for most of September? Though he wasn’t arrested, this latest physical off-the-field incident for Elliott is setting a precedent for the young star running back that the Cowboys can’t be happy about. Dallas has appeared in the headlines for all the wrong reasons this offseason. Elliott’s reported bar fight at Clutch is just the latest for the increasingly dysfunctional Cowboys. On paper, the Cowboys should be one of the better teams in the NFC this year. They seem to be the favorite to repeat as NFC East champions. Dallas has one of the most complete offenses in football. However, limitations defensively and these offseason issues that keep piling up might change that narrative. It would not be shocking if Elliott misses the first two weeks of the season for his previous incident. However, those are two games Dallas would hate for him to miss: a home opener against the division rival New York Giants on Sept. 10 and a Week 2 road date with the Denver Broncos on Sept. 17. The Cowboys have a Monday Night Football game Week 3 against the Arizona Cardinals in Glendale on Sept. 25.